Miami Lakes has a population of 30,833, with 84.3% of its residents identifying themselves as Hispanic. The city was originally developed on land owned by Senator Ernest Graham’s family. The development was unique in that it followed a Master Plan devised by the Graham family. The plan considered future growth and changing market conditions. Equally unusual were the roadways and lakes. Roadways and lake in Florida were grid-like in fashion, therefore adding winding roads and curvy lakes was different. Miami Lakes is a mix of residential communities, schools, and parks. The center of the city is its Main Street attraction, a collection of restaurants, stores, and businesses. Main Street was designed with brick roads and inspired by Mediterranean architecture. Personal injury claims arise from the negligent acts of another. Injuries can occur when drivers don’t operate their vehicles with reasonable care or property owners don’t ensure that their premises is safe. If you have been the victim of an accident, contact the Miami Lakes Personal Injury Lawyers at the Wolfson Law Firm. Injuries that result from accidents often impact a victim’s ability to work and causes them to incur high medical costs. 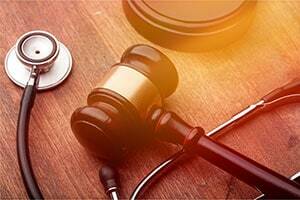 Our Miami Lakes personal injury lawyers can help answer your questions about paying for medical treatment and recovering lost wages. If you or a loved one has suffered injuries or a fatality as the result of a Personal Injury accident and would like to speak to our Miami Lakes personal injury lawyers, contact the Wolfson Law Firm at (305) 285-1115 for a free consultation. If you have questions about a Miami Lakes accident, contact the Wolfson Law Firm at (305) 285-1115 for a free consultation. When injured in an accident, it is important to seek medical treatment quickly to prevent additional injuries. Small injuries can cause greater damage and pain if left untreated. If you’ve been injured in an accident through no fault of your own, it’s important to understand your rights. Insurance companies offer quick settlements to limit the amount they need to pay. Injuries from accidents can be more extensive than known and may require future services. This may also limit your ability to work. Seeking representation will help personal injury accident victims to recover lost wages, pay for medical expenses, and receive continued care and rehabilitation. If you or your loved one has been the victim of a personal injury accident, contact the Miami Lakes personal injury accident lawyers at the Wolfson Law Firm at (305) 285-1115 for help. The Miami Lakes personal injury accident attorneys at the Wolfson Law Firm can help you and your family to get on the path of recovery. Call us today.